I’ve been making these window stars for some time now. Each new pattern is a challenge to try, and such a joy to see completed. Each of the stars are created by folding very small pieces of a special translucent paper multiple times. Some of the stars have required 18 or 19 folds per point. My daughters enjoy seeing the stars on the windows at home…especially when we are homeschooling. The stars provide color and beauty on days when it seems a bit darker…especially on the days when it is raining and snowing. When it is bright outside, the suns rays just seem to radiate through the stars. More examples of the stars can be seen at my Flickr site at: http://www.flickr.com/photos/picturesbyann . Look under the “Things I’ve Made” section. These stars and many others are available at http://www.harvestmoonbyhand.etsy.com/ . I would also like to know as I’ve seen these before, but never found patterns for any this beautiful. If these are your original designs, you should consider publishing a book of patterns! Beautiful! 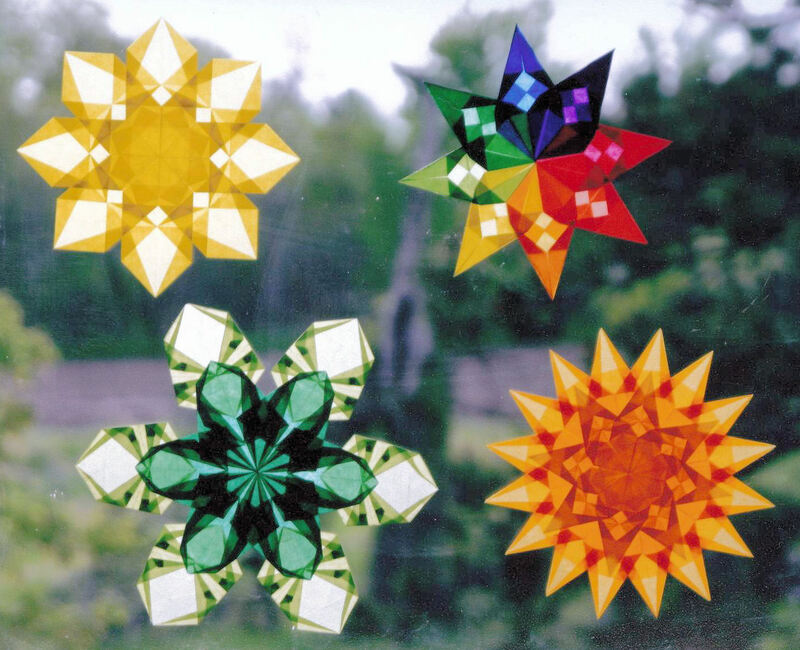 We just made our first window stars this week and they've been making me smile every day : ) Yours are so pretty, I love the different patterns.